Losing a tooth can change your appearance dramatically, it can also affect your confidence and self esteem. Now thanks to dental implants you can have replacement teeth that look and feel like a natural tooth. Unlike dentures, implant restorations do not shift inside your mouth as they are anchored securely into the jaw by means of a small titanium post. 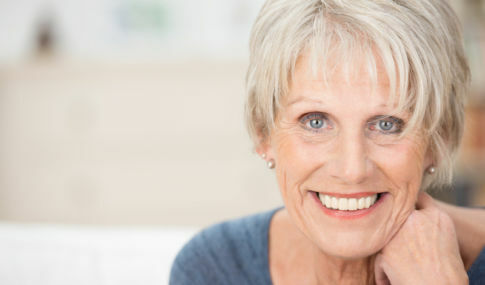 Dental implants have opened the door to a lifetime of renewed comfort and self-confidence for individuals suffering the embarrassment and frustration of tooth loss. Hiding your smile will be a thing of the past. Dental implants are pain free to place, taking roughly twenty minutes to place a single implant. They can be placed with the patient awake under local anaesthetic or under intravenous sedation. Dental implants are versatile and future-proof being totally upgrade-able. As opposed to conventional dentistry which upon failure is useless. The three major detrimental effects from tooth loss are bone loss, over eruption (over growth of the opposing tooth) tilting of adjacent teeth into the gap and imbalanced function resulting in bite force overload on the remaining teeth. Dental Implants are the only method by which all of the above complications can be resolved.